How many elves do you have Santa? I want a A-A-A, 1 pair (he's talking about batteries lol) and some boy toy and some Wii game and some PS3 game and some bricks for my dad and Corbin wants 10 cat 5 baby cat and Mom want some jewelry and for Brian he want some trains. and for Corbin he want a robot that clean up your bedroom and clean the whole home. From Brian, Corbin, Mom, Josh and my family says hi Santa. and Josh is gotta sign it later. I'm sitting at the table tonight making a bottle rocket car with Corbin and Brian. Brian is dancing around and all of a sudden lets out a brand new sound, "Fuh-ka". He likes the way it rolls off his tongue and he starts skipping around the table repeating, "Fuh-ka, fuh-ka, fuh-ka". I am not imagining this because Corbin is already standing up and yelling, "Brian that's a BAD WORD! I can't believe you know the 'F-word'!" (I can't believe Corbin knows what the F-word is!). I am trying my hardest not to laugh. I sternly tell him not to make that sound. He giggles and says it again. I don't think he knows it's a bad word. I'm not even sure he's aware of bad words. I think he just likes the stimulation it gives- like when he use to go around saying "digga, digga, digga, digga". I can only imagine him letting the f-bomb fly in kindergarten tomorrow. My son will be a wonderful peer model for his class. I'm not sure what we can do about it- I don't think I can punish him for just making a new sound- I'm kind of in awe that he's putting the "F" and "Ka" sound together- those are sounds he struggles with sometimes. I almost want to pat him on the back and say, "Nice job making those sounds!". I wish I had an excuse that would let me just drop the F-bomb whenever I felt like it. TodaysMama and GameStop are giving away a sleighful of gifts this holiday season and to enter I’m sharing this meme with you. I wish that we can survive the next and last semester of my schooling- as I'll be "working" forty hours a week without pay for sixteen weeks. Without pay and now needing an outside sitter, which I've never needed before. I'm already worrying sick about it so I think this is my wish. 2. What is your Christmas morning tradition? I've carried on the tradition that when we wake up, Santa has set up one present, unopened and laid your socks next to it. We open our socks and play with the magic present- then we eat breakfast, before jumping into the rest. It just drags the morning out a little bit longer for me to really cherish it. A full weekend at the spa. With wine and chocolate. And my sisters. Oh and a winning lottery ticket. We have a lot of traditions, thanks to our community, that don't cost money and make our season a lot of fun. There is the Parade of Lights, the lighting of the world's largest (only?) 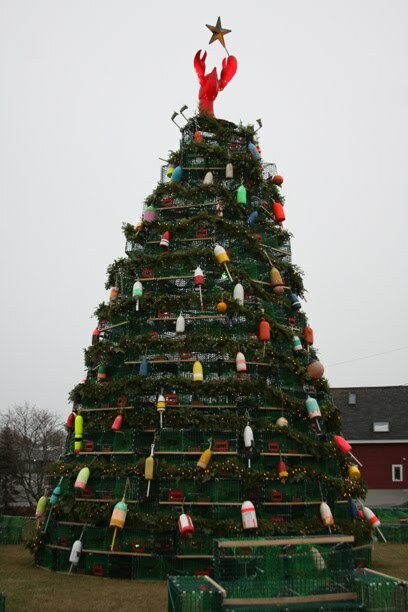 lobster trap tree, horse-drawn buggy rides through town, and Santa is always on the corner of main street to hear what's new on the wish list. I always encourage the boys to make gifts for our family and friends too. Sure, that does cost a little money, but I hope that it teaches them that it's the thought that counts. What game didn't we play? We really loved board games and card games- Uno, Jenga, Mastermind, Mousetrap, Life, and the list goes on forever. It must be where Corbin gets his love for games. I love to trick my kids with their presents. Both my parents were famous for this. I remember one year my dad put a brick in the box that had my new slippers in it. Another year my mom carefully opened a new puzzle and put the CD I really wanted into it. I was bummed I didn't get the CD and never realized I did until I sat down to do the puzzle. 7. Where would you go for a Christmas-away-from-home trip? I've been really itching to travel right now. And if I had a nanny that would accompany us I would definitely love to travel abroad. Perhaps Italy. 8. Check out GameStop (link to: http://bit.ly/gamestop10) and tell us, what are the three top items on your GameStop Wish List this year? I have a Nintendo DS on my list for a certain little boy, Just Dance for myself, and of course we'd love to have the new Kinect system for the XBox- that just looks like so much fun! Do you want to enter too? Go to Today's Mama, write your own meme, and link it back there! Yesterday I posted about little things I was thankful for, and I'm still thankful for all of them (especially my caffeine fix), but there are obviously the bigger things in life that I'm thankful for. I am thankful for my children. I am thankful for their laughs, their hugs, their insights, and their love. I am thankful that Brian thinks it's hilarious when I try to eat his feet. I am thankful that Corbin loves to read Harry Potter with me. I am thankful for the way they have changed my view of the world and thankful for the way they shaped my future. I am thankful for Josh and all that he does to help make my life easier. For bringing the kids to their therapies when I'm at school. For singing "Vowel Bat" five times in a row with Brian. I am thankful for my education. I am so glad I went back to school and am thankful for how successful I have been. I am thankful I will graduate in May! I am thankful for my support circle. For my Dad and his almost-daily phone calls just to check in. For my Mom and the way she listens to me and offers a shoulder to cry on when I'm frustrated. For my sisters who are the targets of my random, nonsense texts and are my sounding boards when I want to complain. For my friends, who help keep life light-hearted. And for my bloggy-friends, who really get it. Who have been there too. I am thankful for our amazing team of therapists, teachers, case managers, doctors, and so on. I am thankful that we spent the better half of this year working with The Thoughtful House. I am thankful that all of these professionals never give up on my son. I am thankful that for the most part I'm able to carry on with life surrounded by love and remaining a positive, "glass half-full", optimistic, happy person despite any struggles we may have as a family. Pepsi Max to keep me awake. Our local Hannaford actually had all the ingredients I needed for our GFCFSF pies! 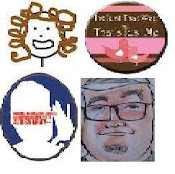 Therapists that I can vent to like they're my girlfriends. A stepmom who is going out of her way to make much of the big meal tomorrow Brian-friendly. B actually let me trim a bit of his hair (just a little bit of course). That Corbin can read Captain Underpants to himself and it occupies him for at least five minutes. Peace & Quiet. Haven't had it today, but I appreciate it more and will be more thankful for it when I receive it after bedtime tonight. Every once in a while I like to let you into the mind of my oldest, silliest, smartest, intuitive little boy's mind by repeating the strange, hilarious, and weird things he says. Corbin approached me a few mornings ago and said, "Mom? I know I was born in 2002 but what year was you born in?" I told him and he replied, "Mom? I just don't get it!" "Get what?" I asked. "How can you be born that long ago, you don't seem like you're that old!" I told him I was old and he said, "Oh you are not old, you don't have wrinkles Mom, well except for that one." Corbin got a new mattress. He's been needing one for a while, his old one was my old one and the last time I slept on it I swore I had bruises from it being so hard. When I dragged the old one out he was trying to hug it and saying, "I'm going to miss you my old-rock-bed". Two nights ago I asked him how he's been enjoying his new mattress and he replied, "Well I miss my old one. We had a lot of remembories with that one." He hasn't given up with the notion that he's going to marry me someday and every time I plant a kiss on him he loves to yell, "Haha! That was a marry kiss- now we're married!" What Will He Say Next? It was early morning and Brian had decided to get up with me. I threw a load of laundry in and he immediately sank down in front of the washer. I watched him knock on the window and say, "doogladidglad! oh? ok!" and then knock and repeat the phrase again. He did it for a good ten minutes before I decided to go grab the camera to try to document him getting stuck into a cycle of some kind of script. Well as soon as he saw the camera he came out of the script, that I had tried to interject into in the previous ten minutes. "Cheese?" he kept asking me as he looked at the camera. I tried to get him back to what he was doing, merely for the fact that I wanted it on video. You can even hear me ask, "You're not going to ignore me, are you?". How silly is that? That I wanted him to ignore me and the camera (for the camera was most likely what he really was having trouble ignoring)? I really have to celebrate the fact that he just came out of his cycle so easily like that. That he was aware of the environment around him. He's coming out of his shell and it's such an exciting feeling! 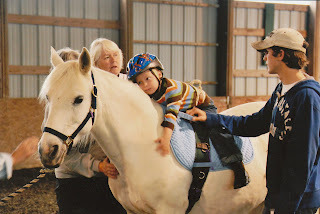 Freedom Riders sent them to me- my camera never took good pictures in the riding arena, so I'm in love with these. I found these in my mailbox just a few days after I heard the horrible news that Freedom Riders is closing their doors. They are a non-profit and can't carry on with the economy being how it is- no one is able to make the same sort of donations they have in the past. 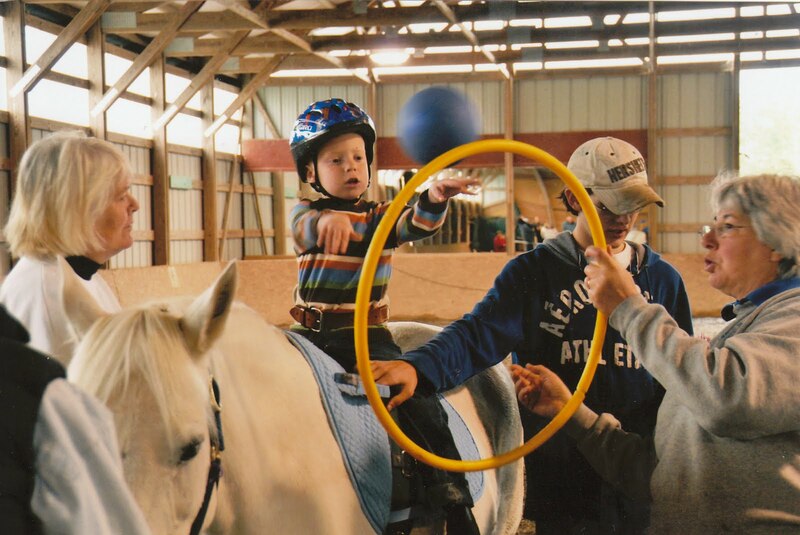 They have been a part of our area since 1984- being the longest running therapeutic horseback riding center in Maine. They have been a part of our lives for just two years, but I surely treasure that short time. Brian loved his sessions and it was an activity he could truly participate in and feel accomplished and proud of. Rumor has it they may reopen in a year or two, as a for-profit organization. I surely hope the rumor mill is correct on this one. Brian just finished his first-ever round of flagyl (hopefully not first of many? but from stories I hear- I'm sure we'll be on it again at some point). Flagyl is used to address the bacteria and the parasites that were apparent in his GI system. It was a good round, I think. I'm not sure I saw any markedly big gains, but we've been seeing steady gains ever since tweaking the diet and starting with vitamin supplements so it's hard to tell. Today was the first day of Diflucan. This is started after the Flagyl, to address the yeast, which was apparent before Flagyl, but is probably even more pronounced after being on an antibiotic for ten days. I can say that the past two days he was a bit more flappy, manic, and stimmy. I saw an increase of the "Brian come back to Mommy" moments- and I don't mean physically come back, but just come back to this reality because he would start to shake his head back & forth, make no eye contact, and make his high-pitched silly sounds. All behaviors that had decreased a bit for a while, so I'm really wanting to blame it on an abundance of yeast. Just when I think things can't get any odder around my home, my son yells from downstairs, "Hey mom! There's a cat in the house- that's not ours!" I immediately decide to blame it on Josh, coming home from watching the Pats game with some friends last night, probably not noticing one of the neighborhood cats sneaking in. They are always at our door looking for a home to come into. But in fact it turns out it was hanging around the restaurant the entire night and the owner decided it must be a stray. Since Josh lived the closest he took it home with plans to bring it to the shelter the following day. It's been a while since we had any animals in the house. Corbin's poor gecko only lasted about two months and before that we housed my Mom's cat for a year until she was in an apartment that allowed animals. I'm not a huge animal lover. Just putting that out there. So I wasn't thrilled about our visitor, even if it was only for a short while. That is until I was up in the bathroom brushing my teeth and I heard this running commentary from Brian: "A cat. It cat. Hi cat. It a cat. Hi cat. A cat. It cat.". It made me think of our friend Audrey, who just loves cat (okay, so we've never met her in real life but I consider her and her mom friends anyways). It made me think maybe this was a way to get Brian to open up (even though I don't think he even noticed we had a cat last year). Maybe he would want to write silly texts to the cat? (If your lost with that last statement you need to visit the link above- HILARIOUS). Maybe I could be a cat lover. Then I heard it scratching up the side of my couch. At the playground today I was sitting back, skimming the TACA newsletter I had just received, while keeping one eye on the Bri-Guy. I started reflecting on how far we really have come. It wasn't long ago that I had to be a shadow to Brian at the playground- because he might elope, he might not take turns with other kids at the playground, he still needed help with a lot of the equipment, other parents may say rude things to him when he acted inappropriately (true story). It feels nice to just sit back. I still worry sometimes what other kids might think of him when he doesn't reply to them or when it's his turn to slide and he has to jump and flap a few times before he goes down. But for the most part, I know he knows how to be safe. As I was sitting here thinking about all of this I watched him approach a ladder that had become part of a circular route he had been repeating for a while. Only this time when he came to it a young girl was leaning against it, with no intention of climbing. I watched with interest as he stood there, looking very puzzled. You could tell he was thinking about how to address it. I kept watching, hoping he would figure something out, or the girl might actually notice him, when all of a sudden I heard him start counting, "1, 2, 3, 4, 5, 6, 7, 8, 9, 10". He then patted his chest and said "Mah tuh" (my turn). I had the biggest grin on my face. In his joint speech/OT sessions his speech therapist will usually count to ten when he gets on the swing and then say "my turn". She'll then get on the swing and won't move until he also counts and tells her he wants a turn. He's got the routine down really well at therapy but I've never seen him use this concept anywhere else. Lucky for him the girl did climb the ladder at that point. I think it may have been coincidence, but I like to think she understood him. For some reason I can not figure out how to change the date on my little video camera that Josh bought me this summer. So when I upload pictures, if I don't think to change the folder name, they get saved way back in my 2009 files. And I often forget about them there. Last night I happened to stumble across this one that had to have been taken in August. One of the things I love the most about both of my kids is their laughter. There is nothing better than to hear that and just know they are experiencing pure joy. This video captures that. As well as a little bit of rocking when he gets really excited and a little bit of echolalia. It's all part of a perfect moment though. Good night boys. Hello Pinot. Today has been the longest day of my life. In part, I think it's due to the time change. Brian is getting up an hour earlier and then we're all tired by noon. In part, I think it was due to the boys and I having a day off in the middle of the week. But Josh still had to work. He actually had to work a double. So I had no back-up. In part, I think it had to do with the fact that I'm still stuck here with no vehicle. No pressure Dad, still excited you are saving me hundreds in labor costs! In part it's because Brian had what seemed like hundreds of bowel movements which led to hours of cleaning. It's because I have three HUGE projects due next week that I've been trying to work on. It's because every time I sat down to work on one of them the boys became extremely needy. It's because Corbin decided to make homemade lemonade on the table right next to my professional portfolio. It's because we played five different board games, did three "homework" games, one science experiment, played "Lego Town", allowed time for video games and a movie, had outside play time, went for a walk, and I still heard "I'm bored" a gazillion times today. It's because I'm stressed about everything lately. It's because I really, really need a break. And unfortunately, I don't see one in the near future. Bed time is coming early tonight. And I'm thanking my lucky stars that I needed white wine for our shrimp scampi last night. Cheers! Thought I'd join in on the hopping this week. This week's prompt is to share a funny memory of our child(ren). I instantly wanted to find the video of Corbin eating Doritos with his feet when was about two years old- but I think that's in his father's possession as I couldn't find it. I know this memory isn't that long ago, only a few weeks old now, but this video of the boys having a sliding race down the hay pyramid always cracks me up. I was filming, just happy that Corbin was getting Brian to reciprocate with him that I had no idea there was someone at the bottom of the pyramid! Sorry lady! It shouldn't be that way. I, myself, absolutely love food. I may be the world's least pickiest eater. And I've always been that way. In fourth grade our teacher asked us what our favorite food was. I eagerly raised my hand and shouted out "Spinach!". The boys in the class teased me for days for that one. So sometimes it's hard for me to relate to the boys on this problem. 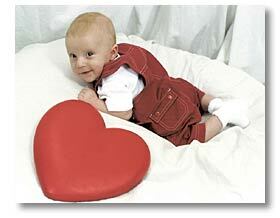 It started eight years ago when Corbin was born with heart defects. He had a hard time eating because he would tire quickly since he was in a constant state of congestive heart failure. My dreams of breastfeeding him subsided as I had to be flexible and feed him my breastmilk via a bottle, so I could add additives in it. We needed him to chunk up so he would be strong when it was time for the inevitable surgery. Corbin always teetered on that line of Failure to Thrive, even after his surgery. And when he was older we had to meet with a dietitian to learn how to cook all of his food in oil and other ways to get healthy fats into him. He also had a carnation instant breakfast every morning. Even though he was struggling gaining weight, he loved to eat! He ate whatever I put on his plate. When Brian was born I was happy to have that breastfeeding bonding. He breastfed for 16 months and gaining weight was NEVER a problem for him. When I started to introduce pureed vegetables he would eat them right up. He, too, ate whatever I put in front of him. 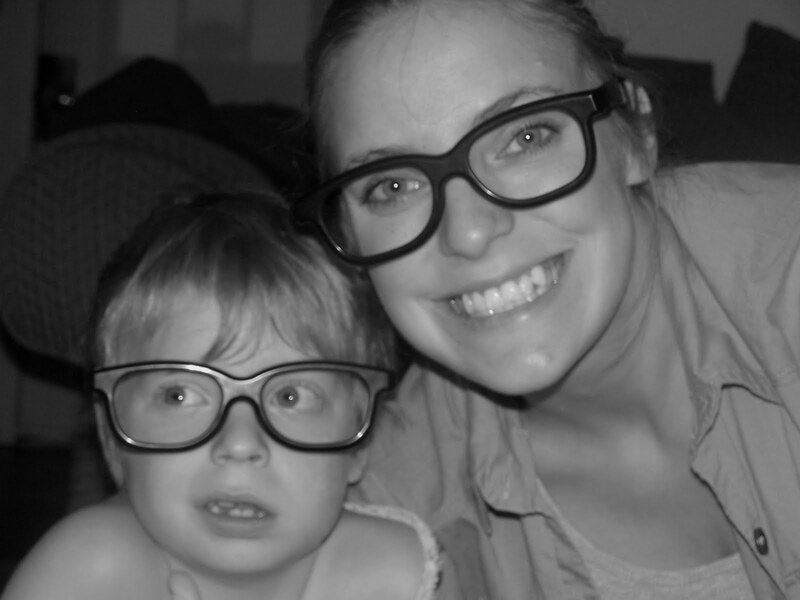 I was patting myself on the back for raising two boys who had healthy, well-rounded diets. Then when Corbin was about three he decided he didn't like vegetables anymore. He didn't like foods touching. He craved carbs. About a year after that Brian decided he really didn't like food anymore- unless it was starchy carbs. It's been a struggle ever since. Not only were the boys self-limiting but they both had obvious intolerances. When I took our whole family off of gluten three years ago, I was only looking for differences with Brian (which we saw! 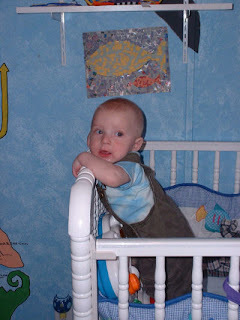 ), but I was shocked that Corbin got on the growth chart for the first time in his life (since birth)! I wasn't going to knock it to coincidence. I know, that I, felt much better removing gluten and dairy from my diet. And I still struggle why I allow myself to eat all of it (it just tastes so good!!). Then of course Brian has had his love/hate relationship with apples (The Phenol Effect, Phenols Strike Again, Tweaking the Diet: Phenol Removal). For a while, I was blaming it on the phenols (I'm sure you all remember, if not- look at the links above), but I am almost 99% sure it's an allergic reaction to the apples themselves. Recently I've been having some success with getting them to try new things. Our biggest hit was thanks to suggestions from Brian's dietitian. Sweet potato & turnip chips. Simple. Yet I never thought to try it. I just cut them up thin, toss with safflower oil and sea salt, and bake. And Brian can't get enough of them (I'm sure due to the salt). New foods we've tried that he loves and are really good for him- Udi's brand bread & pizza crust, Daiya "cheese", and Honest Kids juice pouches. All great alternatives for what he was eating previously, but not messing with his body like the old brands did. Even though I can't get him to eat a great big helping of vegetables (besides the aforementioned chips) they are both at least taking a nibble of whatever vegetable I offer. In the past few weeks they have nibbled asparagus, brussel sprouts, green beans, cauliflower, red pepper, and cucumber. 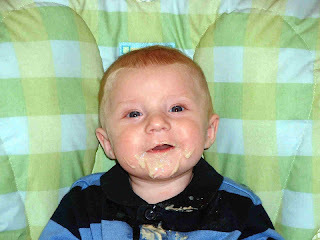 I've made some homemade hummus and Corbin loves it- no luck with Brian yet. Maybe, someday, I will be able to have those well-rounded eaters, that I had myself believing I had years ago. * Brian's mood has been really, really great. Sure he's always been a pretty happy guy but we're not even having tantrums during "homework time" anymore. Even yesterday during that crazy, very loud birthday party he never checked out or had a tantrum. * Bed wetting is *almost* nonexistent. From accidents four times a week just a month or so ago. * Sleeping through the night!!!!!!!!!!!!! We've had two night wake-ups out of the whole past month! Prior to that we were having them nightly. * Lots of independent, spontaneous talking. Sadly, I still can't figure out 90% of it, because of articulation, but he's trying. Really, really trying. * Even more imitative language. Copying everything. Even the bad stuff. Like Josh saying "Damn it, there's never clean towels when I need one". Thanks Josh. So far he only repeated it the one time, but if he says that at school, Josh owes me one. * Medicine-taking has improved even since the last time I mentioned it. Though he had stopped screaming and spitting it out at me, I was still having to sit on top of him. Since Friday evening I haven't had to do that once! * He's been less obsessive over certain toys and actually been pulling out a lot of toys that had dust growing on them and playing with those. But trains aren't going any where, don't worry. * Slowly and very hesitantly trying new foods. * Out-of-school speech & OT has been going really well! Thinking back to early September when it was a struggle to get him to play "Go Fish"- now he's sitting and doing several table-top activities all while smiling and laughing. * And speaking of OT, when he walks in he is now grabbing the "pump swing" (pump your legs) rather than the "spin swing". Sensory wise, something good is going on inside of his little body if he doesn't feel the NEED to spin. And he's starting to get quite good at pumping those little legs. * From the reports at school, not only is he more willing to attend to academic work, he seems to be really trying to participate socially as well. Something's working. Knock on wood! How to have the most awesome birthday party on the planet, that is! Cute nerdy glasses to be worn by even cuter little boys. A birthday cake with steam billowing out of it. Blowing up a balloon with the gas created by vinegar and baking soda. Making "Gak" with borax, glue, and water. Sucking an egg into a bottle with a narrow-opening by changing the air pressure inside the bottle. And the old favorite- Mentos & Diet Coke. Plus: A brain jello mold, goodie bags (radioactive light tubes (glow sticks), pop rocks, magnifying glasses, and test tube experiments), lots of family and friends, lots of noise, lots of craziness, and lots of fun. Mix it all together and have a great time! Last night I was teasing Corbin, like the mean Mommy I am, and I told him that I spent too much money buying supplies for his science party so he wasn't getting any presents. He responded, "Ohhhh Mom! You don't need money to buy me presents- all I want is fifty kisses!" Could you ask for a sweeter kid? Corbin is eight years old today. I can hardly believe it. 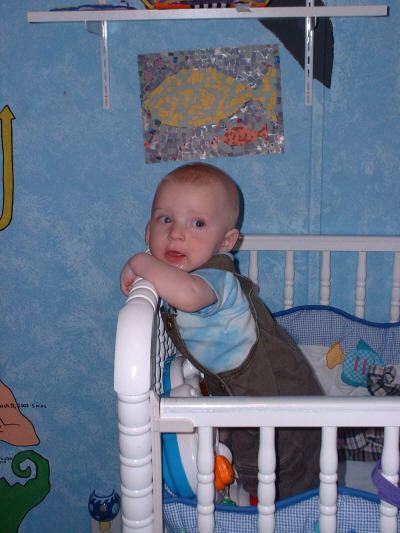 Was it seriously eight years ago that I spent some 30 hours in labor? Was it really eight years ago that he came into this world and gave everyone their biggest scares of their lives? Was it eight years ago that I found out about unconditional love? Eight years ago that I realized what it felt like to know you would do anything to protect this new little stranger? It's been an amazing eight years and I can't wait (well I don't want to rush it) to continue to see him grow into an amazing young man. Love you Corbin! Happy Birthday! Brian has had a few psychological evaluations that have recommended us looking into augmentative alternative communication (AAC) so I finally bit the bullet and asked for him to have an evaluation. I was even more excited that I found out the SLP I had wanted to do it with a few years ago and was told no, was the one that was contracted through our school district. Today was the first day of Brian being assessed. This process is going to include two direct assessments as well as video-taped sessions for Mark, the SLP to go over. I really wanted to attend his assessment today at school but I had classes. I had made a mental note to try to call Brian's teacher when I got home to see how it went. Within five minutes of walking through my door, Mark was calling me. He was very friendly and very enthusiastic about my little man. He reiterated to me how bright Brian was and how much potential he sees in him. He told me that he has obviously recommended tons of communication devices for kids, but at this point he's thinking he isn't going to need to with mine. He has a lot of ideas to promote further speech and he told me he was very confident in Brian's future for speech production. He wasn't calling to tell me his final conclusions, but he wanted to let me know how much he enjoyed his time with Brian today. I can't tell you how much it means to me to hear this. It was so refreshing to hear a stranger tell me my son has potential. To tell me how "bright" he is. I can't say I never hear it, because I do, from professionals who have been in our life for a while. But every experience I've ever had with evaluators who only meet him one time, has been a difficult one. Ones that end with them telling me how delayed he is, that he has mild MR (which I refuse to believe), and so on. So this call really made my day, I think Mark may be my new best friend. This Is Not A Movie. It's Real Life. There are days in my life that I just couldn't make up. Driving home from school, cruising on the interstate, when all of a sudden I can feel my van losing power. My van and I have a love/hate relationship. I love it, it hates me. I slowly pull the beast over to the side of the highway where it dies on me. I call the towing company and am told it would be forty-five minutes. Forty-five minutes on the side of the highway, with no heat, and the sun is almost down. Lovely. Thank goodness, I had a cell phone to kill my boredom, and update my Facebook status with an appropriate "FML". About twenty minutes later a police officer pulls up behind me with his lights all flashing. He comes around the back of the van with one hand holding his flashlight and the other secure on his gun in his belt. He is creeping around the van, peering in with his flashlight (probably thinking- wow, why does this van still have life jackets and sand pails tucked away in the back), gets to the passenger side where I start waving with a big smile on my face. I roll down my window and explain my situation and he very kindly offers to wait with me. Within minutes the towing truck appears. I have never been so happy to see so many flashing lights surround my vehicle. I wanted to jump out and hug and kiss the tow truck driver, but thought that might be a bit inappropriate. I ride along back to the garage where I have to wait for Josh and the boys to come get me (still about 45 minutes from home at this point). We're met at the garage by two very friendly men and a very dark garage. Well it is past closing time. But I think I may have seen one too many horror movies because at this point I'm just thankful that both the police department and Josh know where I am. I'm ushered inside after I get the news that my timing belt has busted. I am standing in the waiting area (where there are no seats) and one of the men tells me to go sit behind the counter. I do, though I'm still a bit nervous. He follows me in and sits in a chair at a computer and pulls up some you tube videos to share with me some raves that he has gone to. Turns out he's a big raver. After the music's pounding subsided he then goes on to his facebook to share his pictures with me. It's there that he enjoys pointing out the subtleties like, "Haha, look at our eyes. They're all the size of half dollars if you know what I mean." At that point, I decided to excuse myself from the office and I frantically called one of my sisters and spent the rest of the time on the phone with her- felt a bit safer that way. Finally my knights in shining armor arrived and I was never more happier to see them. Yesterday morning Brian seemed not only so "off" but also kind of sad so I thought a trip to our favorite toy store, Planet Toys, was needed. One of the reasons this toy store ROCKS is that we can go there and not buy anything- they have so many toys on display that kids are ENCOURAGED to play with. They even have a small jungle gym and slide in there now. Some of the employees know us by name. Yesterday there was a lady there that I haven't met before. She honed right in on Brian, as he stood and watched this one toy, the Penguin Race. Of course he wasn't just standing and watching it. He was flapping, jumping, and squealing watching it out of his peripheral vision. She smiled and asked me, "Is he verbal yet?" Woah. I think that may have been the most forward anyone has been to me, ever, regarding his autism. He was obviously portraying VERY autistic traits at this moment so it wasn't surprising to me that anyone familiar with autism wouldn't think that, but it still took me back a bit. It turns out she use to work with kids on the spectrum. 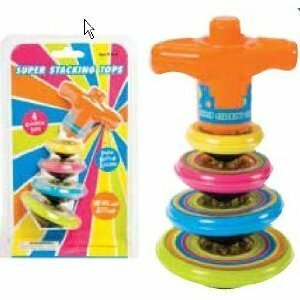 We laughed at how this toy must have been made for kids with autism. I was talking to her about how I always struggle during this gift-giving season on whether I should get toys he can stim on or not. On Christmas morning I want Brian to rival his brother's enthusiasm for his new Harry Potter legos. And the only way I'll get that level of excitement out of Brian is by stimmy toys. He would be so excited to have a pile of presents that spin, blink, and have repetitive motions. But then I'd only be setting us up for more disappointment as I would have to put them up just to get him to interact with his family. So far in my closet I have a fiber-optic lamp for him and these awesome stacking tops that do a really cool light design. So I guess that's my answer. I'll deal with the frustration later on just so I can see the smiles I want to see on Christmas morning. 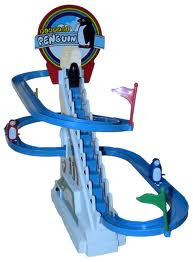 I'm pretty sure that Penguin race will be joining the present pile.